Aloe Ferox Bitter Crystals provide natural herbal relief to ease constipation, naturally. Aloe Ferox Bitter Crystals – a natural remedy for constipation. 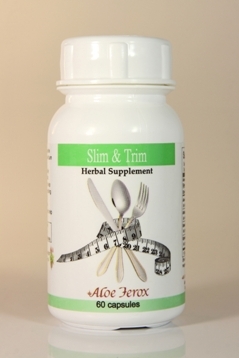 Some regular customers (if you’ll excuse the pun) use the Aloe Ferox Bitter Crystals at time of chronic constipation and for maintenance use the Aloe Ferox Fabulous Fibre Bitters supplements. When you just aren’t ‘regular’ anymore with a lazy bowel or an inability to feel the urge to ‘go’, Aloe Ferox Bitter Crystals is the answer. Please note the packaging has been updated and looks different. The product is exactly the same. How using Aloe Ferox Bitter Crystals may help you. Aloe Ferox Bitter Crystals are a natural remedy for constipation and may be taken as a dietary supplement. The crystals can be beneficial with detoxifying the body/ If you suffer from inflammation caused by arthritis, it can provide some relief. Plus it can help to ease the symptoms of eczema and high blood pressure. Helps to prevent constipation and flush your bowel. The bitters in Aloe ferox contains plant chemicals that are hostile to bacteria, viruses and parasites. Helps to detoxify and support disinfection. Aloe favours an anti-inflammatory action. Directions for using Aloe Ferox Bitter Crystals. For a laxative effect take 50-300 mg Bitter Crystals in a single dose at night. (1- 6 match head sized pieces). The crystal does not dissolve but becomes “glue-like” on the bottom of cup. It has a slightly bitter taste, much like grapefruit. Avoid tasting by swallowing with water like a pill. Use for 1 day. Repeat as needed until regular bowel movement occurs. Use the smallest dose necessary to maintain regular bowel movement. Animal usage: 1c Bitter Crystal daily for 7 days. Breaking down larger crystals for measuring: A crystal of 50 mg is approximately the size of a match head. Larger crystals can easily be crushed into smaller crystals. Place crystal(s) between 2 spoons and gently press spoons together. Active ingredients. Aloe ferox Bitter Sap Health warning. This is not sold as a medicine to treat conditions and you should always consult with your health practitioner before taking herbal supplements. Do not use Aloe ferox Bitters in cases of intestinal blockage, acute inflamed intestinal disease (e.g. Crohn’s disease, ulcerative colon inflammation), appendicitis, abdominal pain of unknown origin or during pregnancy and breastfeeding. As always, please do consult with your physician before staring a course of herbal remedies – particularly if you are using other prescription medicines. Want to know more about the science? Please watch this detailed video explanation about the crystals from a Canadian agent. 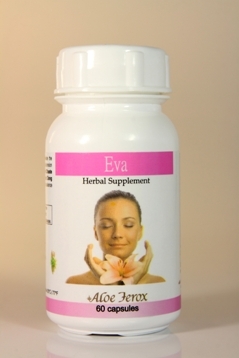 Some customers prefer the tablets and use Aloe Ferox Fabulous Fibre Bitters. Natural Beauty Care offers some suggestions on how to manage your constipation, comfortably and shares information on common reasons for being constipated.